Several products provide patients with safe and effective ways to remove fine lines and wrinkles. Most patients search for a method that's affordable, does not hurt excessively during or after the treatment ends, and one that will provide long lasting results. Fortunately, modern times have brought patients a selection of affordable and efficient skin rejuvenation features. Laser resurfacing, also referred to as fractional resurfacing, provides patients with one of the most highly advanced methods to remove fine lines and wrinkles on and off of the face. Some fractional resurfacing methods provide more intensive treatment than others. Those with the most severe wrinkles and lines select the most powerful resurfacing choices. This method works by removing layers of damaged skin and simultaneously stimulating new skin growth. Patients will heal in a short matter of time, which varies based on the intensiveness of the treatment received. A new layer of fresh, young looking skin will replace the areas that get removed. 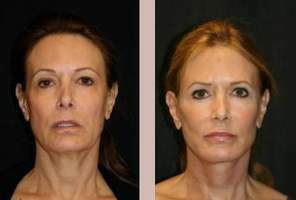 Fractional resurfacing provides specific treatment for each patient. Skin type and the severity of scarring will cause the treatment to slightly change on a per patient basis. However, the general principles always remain the same in that the acne scars will get removed and replaced by healthy new skin. Dermal fillers provide fast results, limited pain and virtually no downtime at all. A small syringe injects a gel like solution, generally composed of natural ingredients that work in sync with the patient’s dermal network. These products work below the skin’s surface by filling depleted areas on the face that generally occur due to aging. As humans age, collagen stores sometimes deplete; dermal fillers reverse these effects. Most dermal fillers provide immediate results. Patients enjoy the fast results, low to moderate costs and safety of dermal fillers. However, this non invasive method does provide some risk to those who often face allergic reactions. The chemicals used in dermal filler products do not always work well with the patient’s body. Chemical peels work much like fractional resurfacing. These products often get made up of powerful chemicals, such as acids and even natural substances as well. The mixtures get spread over damaged areas of skin and break down the outer layers of tissue. The patient then goes through a quick healing process by growing back new, healthy tissue in place of the removed layers. Patients with deeper wrinkles often need multiple treatments in order to notice desirable results. Dermabrasion provides fine line and wrinkle removal in the same manner as chemical peel and fractional resurfacing products. 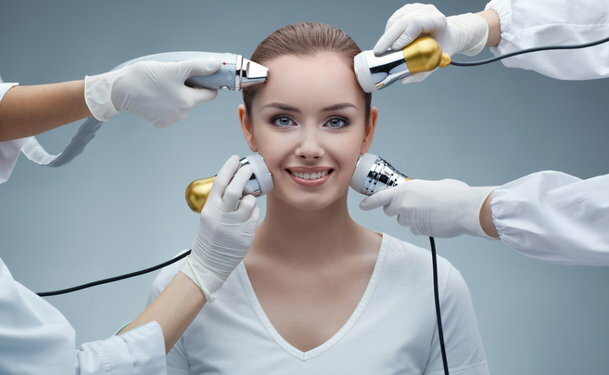 Though, rather than using chemicals or lasers to break down layers of damaged skin, dermabrasion procedures use other medical instruments to scrape away top layers of skin. Dermabrasion procedures usually last around one hour, but this time frame fluctuates due to the size or characteristics of the area receiving treatment. Patients go through a similar healing process when compared with fractional resurfacing and chemical peel procedures.